Leigh is the nearest town to our studio in Lowton and a place I have spent much of my early life, actually living in the town for many years. As I have got older I have become increasingly interested in the towns history and begun to take notice of the towns older buildings and architecture. Although the town has changed dramatically over the years with the decline of the mills, the closure of the mines, and emergence of a more retail oriented town, some of the towns past still is there to be discovered. It amazes me how little I had noticed as I went about my visits to the town, walking around with my eyes wide shut much of the time. 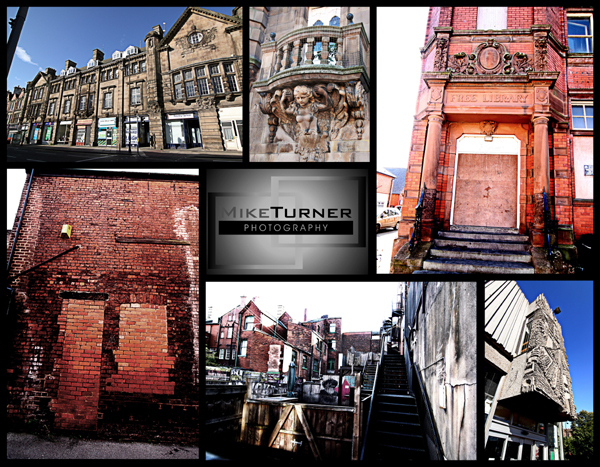 The town has some great architectural heritage which is sadly poorly maintained.